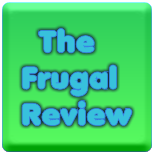 FRUGAL REVIEW: FREE SUBSCRIPTION to American Baby Magazine. Are you pregnant or do you know someone who is? Sign up for a FREE SUBSCRIPTION to American Baby Magazine.